Himalayan salt is actually by far one of the best alternative choices of sodium that you could provide yourself with. Himalayan salt has a lot of nutritional properties that regular processed salts do not. In fact, this particular kind of salt has been shown to have 84 trace minerals that our body’s crave on a daily basis. This includes magnesium, potassium, sulphate, and calcium. So, without further a due, here are three other important facts about Himalayan Salt that you should probably know about. 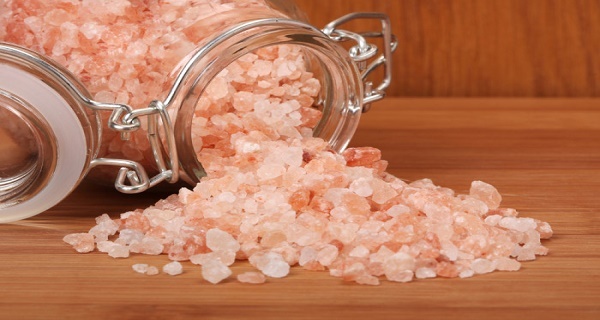 Himalayan salt is able to help you maintain the proper electrolytes in your body as you exercise. As you take Himalayan salt during your exercises, you should notice a pretty significant difference in how tense your muscles use to be and how there are hardly any cramps at all after a workout. Himalayan salt has even been shown to lower blood pressure. According to a study that was conducted in Europe, they had measured salt levels within people’s urine over the course of an eight-year time period, they were able to find that more cardiovascular deaths had occurred in people who had low salt levels than the others who had higher amounts of salt in their bloodstream. Himalayan salt is also able to help regulate the water in your body that is used in a more critical role that involves maintaining your optimal function of your muscles, nerves, and variety of other body tissues. The salt is used so that your body is able to moderate the amount of water you consume and make sure that you have enough of it to keep your electrolytes balanced. Hopefully this small introduction of Himalayan salt was enough to persuade you to switch your salt products!